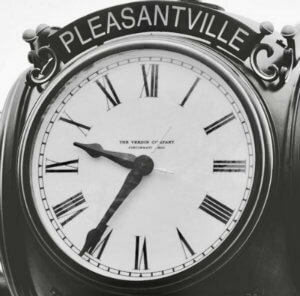 Could there be a place any more welcoming and friendly than a village named Pleasantville? This idyllic sliver of Westchester County NY in the town of Mount Pleasant, lives up to its name and provides a retreat from the noise and hustle of the urban areas, with added charm and just the right amount of distance from NYC to have its own identity. New construction and established homes in this community fit together symbiotically amid the beautiful backdrop of southern New York. There is a wide variety of housing choices in Pleasantville; from size, to design style, to age of home, with each element bringing something unique and special to the table. View the latest listings for Homes for Sale in Pleasantville now, or read on to learn more about Pleasantville real estate and the community's amenities, following the listings below. Be sure to sign up for email alerts of new listings as soon as they hit the market -- it's fast, easy and best of all, FREE! For the more discriminating buyer looking at homes for sale in the Pleasantville real estate market, the homes listing above $1 million in subdivisions such as Heritage Court, Point Place and Hardscrabble Lake have the quality features you would expect. Here, you’ll find a blend of new construction and well maintained established homes, most of which have been updated. The Colonial homes in Pleasantville from the 1920’s and 30’s typically have four or five bedrooms and up to six bathrooms with floor plans ranging from 2,400 to 5,500 square feet. The spaces are often designed with flexibility and entertaining in mind with spacious living areas, chefs kitchens, and wonderful outdoor living spaces. Homes at this price point also feature luxurious master suites with well appointed baths. Homes in Pleasantville that are for sale below $800,000 provide the same wide selection of residences as the higher price points, the primary difference being square footage and number of bedrooms. From $295,000 to just over $800,000, you’ll likely see homes with three or four bedrooms with 2-4 baths,and square footage of roughly 1,150 to 3,500 square feet. These classic homes were constructed throughout the 20th century from 1900 up through the late 1990’s. Ranch and farmhouse style homes in areas such as Marble Heights offer Colonial features, and the new construction homes in Enclave at Pleasantville afford buyers the chance to choose their own style of living. Whether new constructions or homes of older vintage, some of the Interior elements at this price point will generally include open floor plans, lovely master suites and often, hardwood floors. Many of the older homes will feature upgraded kitchens. Outdoor amenities will typically include a patio or deck and often, spacious yards. Those searching for Pleasantville real estate will be happy to learn that this particular area in Mount Pleasant offers numerous opportunities for indoor and outdoor recreational and artistic pursuits. The picturesque landscape in the area begs you to come outside when weather permits, and it provides the perfect backdrop for hiking, fishing, cross country skiing and nature watching, some of the local favorite activities. Numerous area parks like Nannahagan and Roselle Parks serve the residents of Westchester County with facilities like playgrounds, ballfields and sports courts, and community pool. Rockefeller State Park Preserve and Hardscrabble Wilderness Preserve also provide an abundance of open space for families and individuals to explore the area and make memories while doing so. Pleasantville also has an active music and arts scene with multiple community theaters, music festivals, and choral groups. Students in Pleasantville attend the schools in the Mount Pleasant Central and Pleasantville Union Free School Districts. 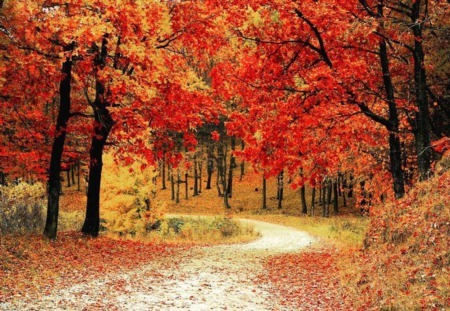 Call 914-598-2386 today with any questions about homes for sale in Pleasantville. The Hire Realty LLC team of professionals are your go-to experts for Westchester County and Mount Pleasant real estate in New York.